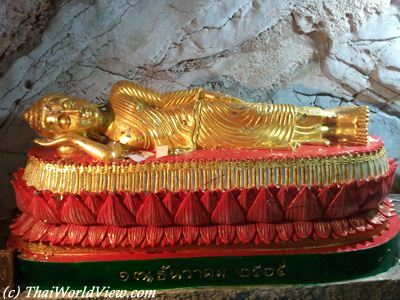 Wat Khao Tham Ma Rong (วัดเขาถ้ำม้าร้อง) is a Buddhist temple, located only three kilometers from Bang Saphan market. 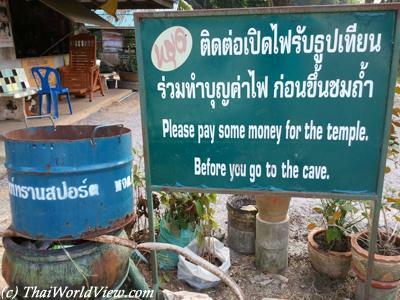 A small fee needs to be paid for helping regarding the electricity fee in the cave. 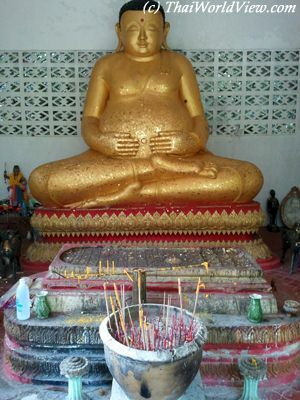 20 Baht donation is welcomed. 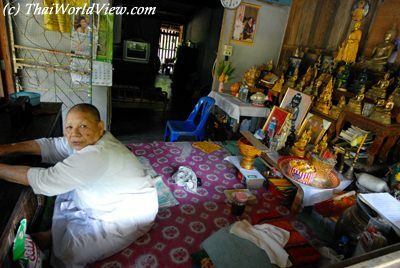 A nun (แม่ชี) is welcoming visitors at the entrance of Wat Khao Tham Ma Rong. 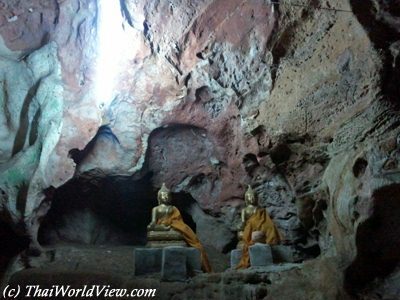 Wat Khao Tham Ma Rong (วัดเขาถ้ำม้าร้อง) features a cave located on a hill. 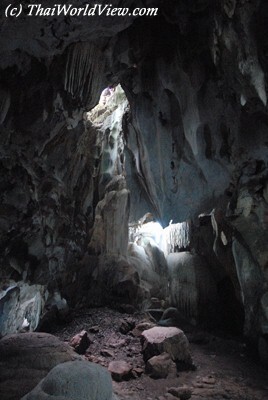 Khao Mah Rong Cave has many coves featuring stalactites and stalagmites. 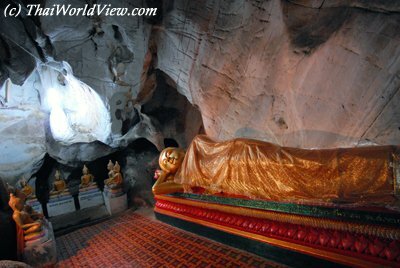 Khao Mah Rong Cave contains hundreds of Buddha images including a reclining image. 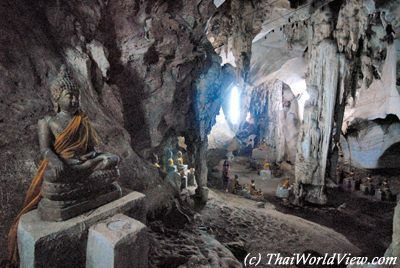 There is a big cave complex located behind Wat Khao Tham Ma Rong and including many chambers. 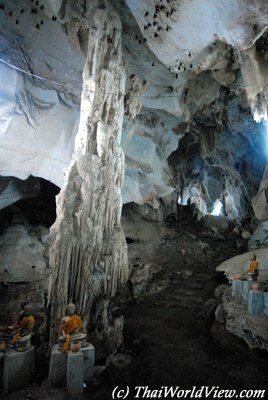 There are really huge and high chambers featuring stalactites and stalagmites. 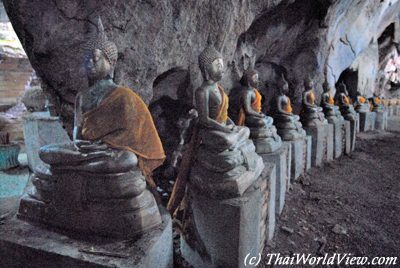 Khao Mah Rong Cave contains an impressive long line of very old Buddha images. 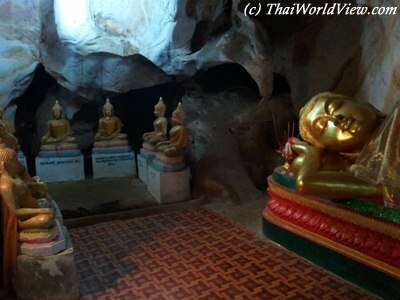 "Khao Tham Ma Rong" cave is a sacred area for local Thai people. 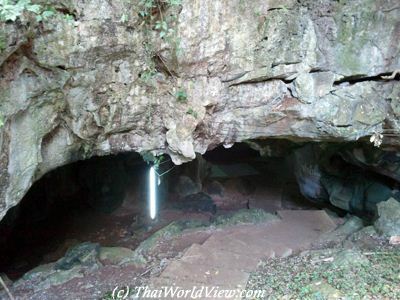 While walking in the cave, the lightening went off suddenly. Quite scary. Hopefully it went back one minute later. Lesson learnt : never forget the lamp torch when visiting a cave!